There are three main types of soil: sand, silt, and clay. The best soil for most plants to ensure optimum growth is a rich, sandy loam. This soil is an even mixture of all three main types of soil. 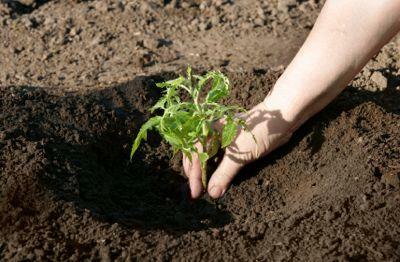 In most cases, you'll need to amend the soil with compost. Depending on how compact the soil is, you may need to add peat moss and sand. However, there are many plants that are well adapted and can grow in particular types of soil. Soil is generally described by the amount of sand, clay, and silt it contains. This is known as texture. Soil texture is directly related to nutrient quality and drainage capabilities. Higher pH level: The best pH for most plants is between 6.0 and 7.0. The pH level affects the plant's ability to grow. This range of acidity allows good plant nutrients to thrive as well as other soil organisms, such as earthworms. Higher calcium level: Plants need calcium for healthy growth. Calcium helps maintain the balance of soil chemicals. It also ensures that water reaches the roots of plants by improving the soil's ability to retain water. It also contributes to creating the looseness of the soil, so oxygen reaches the roots. Calcium reduces the amount of salt in the soil. Too much salt damages the root systems and limits the plant's growth and ability to absorb nutrients. Gritty texture: The soil is dry, soft but gritty to the touch, and crumbles easily to provide excellent draining properties. The soil texture also retains water and plant nutrients. This benefits the plants with consistent moisture and food. Since the soil is crumbly, the air flows easily all the way to the roots. Sand is the largest particle in soil and does not hold nutrients well. The following plants are well-adapted to sandy soil. 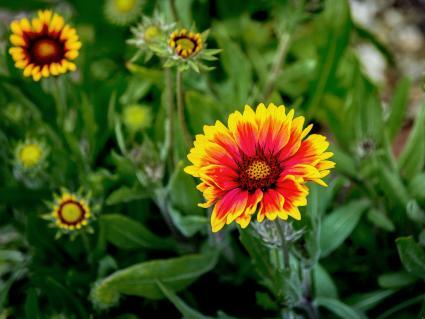 Blanket Flower: Drought tolerant, this flower thrives in nearly pH neutral soil found in sandy soil. Adam's Needle: This yucca plant prefers sandy soil and tolerates salt spray. Its roots rot in damp soils. Wormwood: This perennial herb is drought-tolerant and prefers dry sandy soils that aren't very fertile. Butterfly weed: Attract butterflies with this sun-loving plant that prefers poor, dry sandy soil. Soils with a large amount of clay are heavy and do not drain well. The following plants are well-adapted to clay soil. Bee Balm: Some species grow in sandy soils, while others prefer loamy or clay soils. Check before buying which soil the plant prefers. Black-eyed Susan: This flower can grow in a range of soils from loamy to clay. It needs good soil drainage, so you may need to amend your flower bed. Goldenrod: This wildflower is adaptable to most soil types, including clay. Silty soil is powdery with high fertility. Unfortunately, soils that are high in silt can become waterlogged very easily. The following plants are well-adapted to silty soil. Swamp milkweed: This plant thrives in wet soils. Yellow iris: This is an adaptable plant. It's great for landscaping around a garden pond or stream. Japanese iris: This flower loves water, so plant it around a garden water feature or other wet area. If you're growing houseplants, you might think it's a good idea to scoop some soil from your yard to grow your plants in. This is actually a bad idea since garden soil contains bacteria that can be harmful to your houseplants. There are a two options if you don't want to use commercial potting soil. If you opt for your outdoor soil to grow your indoor plants, you'll first need to pasteurize it in order to eliminate any diseases, as well as insects and weeds. Spread it on a cookie sheet and bake in a 180 degree oven for 30 minutes. Although this process will emit a bad odor, it does take care of the bacteria. 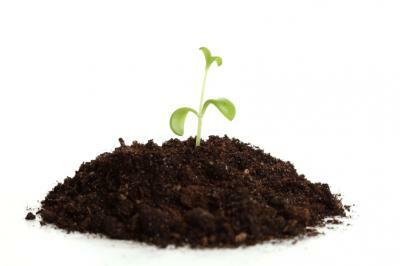 After the soil is sterilized, you'll likely need to amend it with peat moss and sand. These are things that will allow proper drainage and air flow while still retaining the right amount of moisture. Commercial potting soils are similar. They include peat moss and vermiculite along with a slow-release fertilizer. Together these things create a soil mix that holds nutrients, retains moisture, and provides ventilation for the roots of the plant. Mix all ingredients thoroughly and store in an airtight container until needed. Whether a container garden inside or a garden outside, the key to successful planting is the soil requirements of particular plants. Most soils are a combination of sand, clay, and silt. If you don't know the type of soil, you can use an inexpensive soil testing kit to find out.